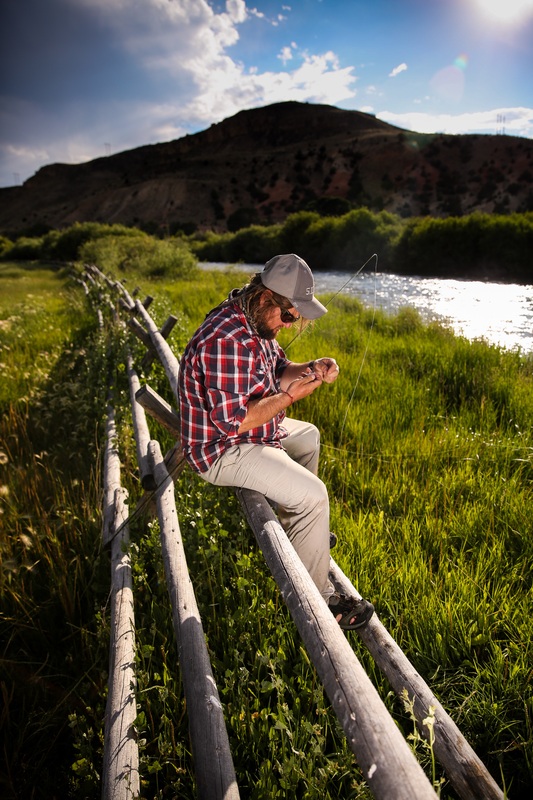 We have a very close-knit team of guides, each of whom are passionate about teaching fly fishing. All are incredibly enthusiastic about sharing their hard-earned knowledge, and they love nothing more than to help others advance their skills and understanding of the sport. Read on to learn a little more about each of our guides. Antony is the owner of Goulburn Valley Fly Fishing. 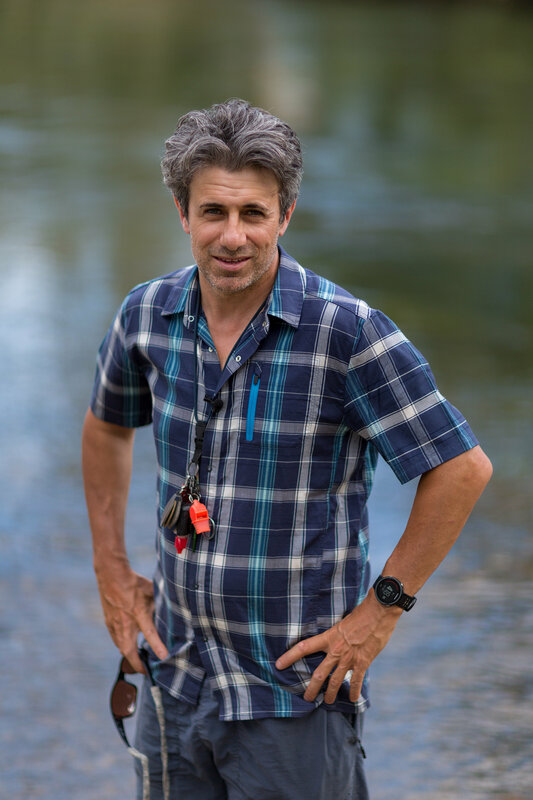 He has guided full-time on the Goulburn River for more than twenty years, and he specialises in drift boating and technical dry fly fishing. He also leads our trips to Montana and other destinations. 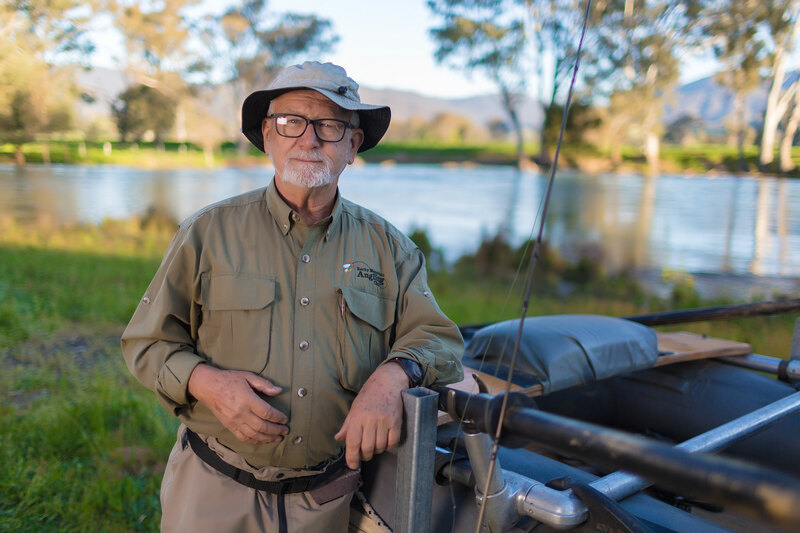 He loves nothing more than sharing his knowledge of the Goulburn, and his understanding of how to find fish at all river levels and in all conditions, is unparalleled. He spends more time on the oars than anyone else here, often doing 45 drifts in January alone; the result of doing two-a-days when the demand for drift boats is greatest. He also has a great understanding of hatch based fishing, with his favourite style being fishing to large, sighted brown trout, with dry flies. Antony takes close-up photos of rising trout in his spare time. You can often find him hanging from a tree with a telephoto lens in his hands. Nearly all of the photos you see on this blog are his. Bo is a character, and it would be fair to say that everyone who meets him, remembers him. He has traveled extensively, and he has led a very ‘interesting’ life to date. Nothing about Bo is what you would call ‘normal’ or ‘average’. Bo excels at teaching casting, and his ability to identify faults and then correct them; is second to none. He is a fabulous instructor, equally adept at instructing beginners or teaching the finer points of fly fishing to the more experienced. 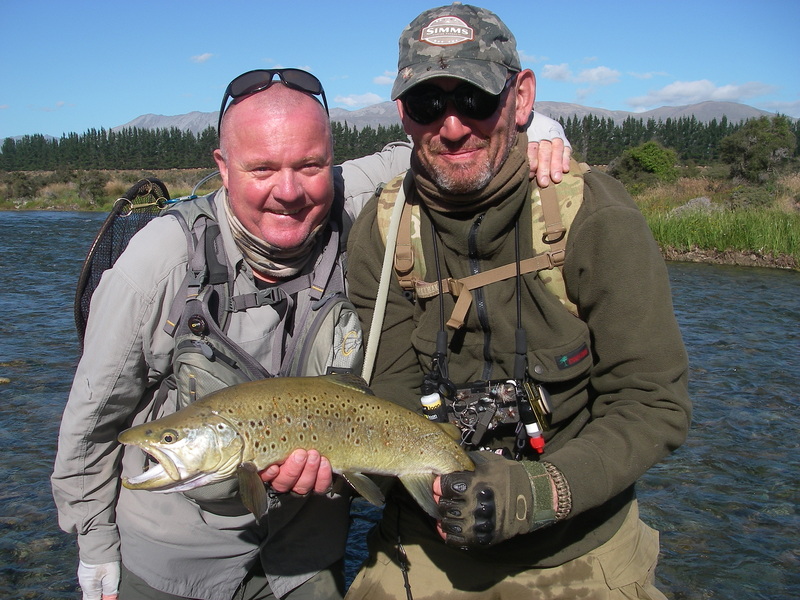 In recent years, Bo has done a lot of guiding in New Zealand, and he is now one of our leading NZ guides. He also helps with the Montana trips, and is a qualified drift boat guide, after nearly two decades of tutelage by both David and Antony. Bo is the perfect companion on the river or road. He is funny, patient, and hard-working. He goes above and beyond what is expected on every single occasion, and he has an innate ability to make people feel at ease from the moment they meet him. As such, he is one of our most requested guides. Bo is also a talented musician, playing both the guitar and piano. ….. and he’s never looked back! 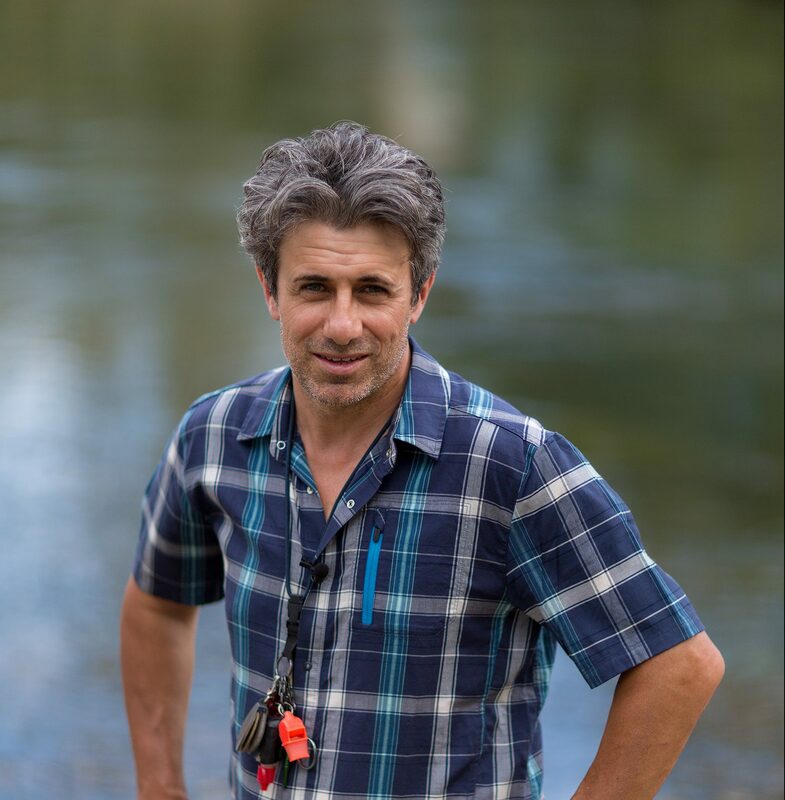 Fast forward to 2018 and he has worked with, and developed many life-long friendships with a large number of our clients, all the while building a guiding skill-set that consistently gets results on the rivers and streams of the Southland region. Cameron is an incredibly enthusiastic and positive person. His towering height only matched by his willingness to go hard and do whatever is required; each and every day. We constantly receive feedback from clients that highlights Cameron’s work ethic; with an oft reported quality being that even at the end of the day, when other guides would be back at the lodge, he is still out on the water, crossing rivers and climbing steep banks, in the hope of sighting ‘just one more fish’ for his clients to cast to’. In a previous life Cameron or “Camo” as he’s better known, worked as a guide for a large Melbourne fishing outfitter in the Northern Territory, far North Queensland and the outer Barrier Reef, chasing a multitude of species; from Barramundi to Dogtooth Tuna; from Marlin to Trevally. His career has included stints in the Australian Army, the retail fishing and camping industry, and more recently; a long-standing career with Woolworths in logistics. Cameron lives in Melbourne with his partner Marg. He loves travelling, fly fishing, reading a great novel and Thai food. Our newest staff Member, with just on three season’s under the belt, Lachlan is a quiet and unassuming individual with immense back-country experience. 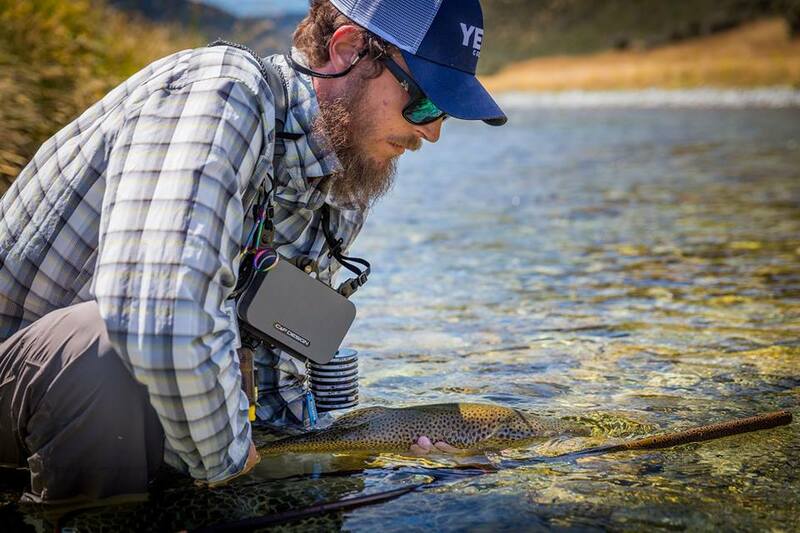 He came to fly fishing while still in the army where he served for ten years, and he moved to the Goulburn Valley after returning from Afghanistan and deciding that he wanted to live the quiet life as a fishing guide. He lives close by the Goulburn River with his wife and young daughter. Lachlan is the perfect companion in the back-country. He is very comfortable out in the wilds, and his reading of both the weather and the bush is first rate. He once spent forty consecutive nights sleeping on the ground with only a pack, and he is the ideal guide to not only lead you on a back-country fishing trip, but also to impart the sort of knowledge that is only collected via actual experience in the field. Lachlan is a fiercely proud ambassador of The Fly Program and he regularly heads up to assist Matt and the gang with their wonderful program of assisting men to find new outlets in combating depression and PTSD through participation in outdoor activities and shared experience. Lachlan spent some time with us an assistant guide in New Zealand last summer, and his friendliness, knowledge and eagerness to help, has already made him popular with many of our clients. He also helps us to run our beginner workshops, offers half/full day guiding sessions on all local waters, and is available for multi-day – week-long trips to north east Victoria at most times. Oh yeah. And he makes the best riverside coffee in the fly fishing industry!! Retired in 2014 but back part time in 2018-2019! Geoff Hall is another legend in these parts. 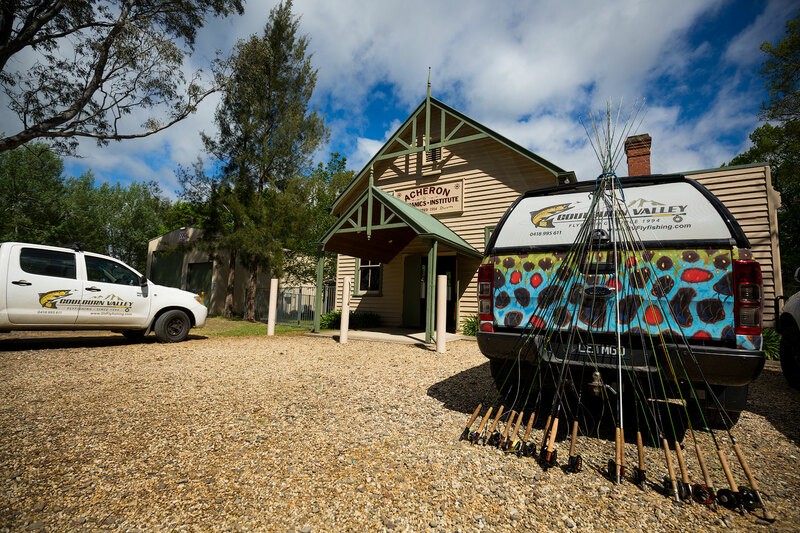 One of original founders of Goulburn Valley Fly Fishing Centre, Geoff played a huge part in the overall vision, direction, and success of the company for over twenty years. Geoff grew up fishing the rivers of the area and is not only an expert guide, but he’s also steeped in the history of the region. Geoff knows everyone in the district and has been a driving force on many local issues, including battling for better outcomes for our trout fishery, and the protection of the wider environment. His latest work focusing on the threats to the Snob’s Creek catchment. Geoff is an expert rafting guide and instructor. He, along with David and Antony, pretty much wrote the book on fishing the Goulburn River. Equally adept with fly fishers of all levels, Geoff’s ability to teach and instruct in a relaxed manner, makes him a client favourite. David Pickering is a legend in the Goulburn Valley. 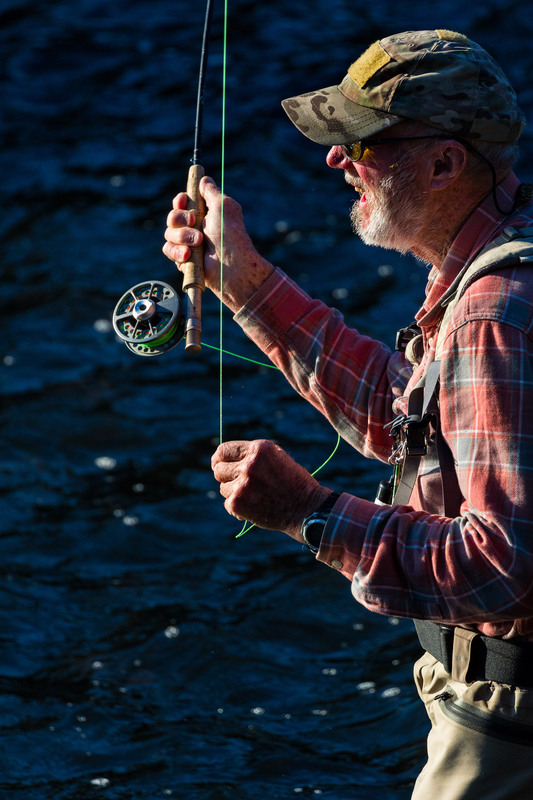 Now in his mid-seventies, it would be safe to say that there is not a lot in fly fishing that he hasn’t seen or done. ‘Fly Fishing Tuition and Hamburgers’. Perhaps more than anyone, David’s talents have been honed as a result of being exceptionally single-minded of focus. David just loves to fish, and there’s been many a night where his friends and colleagues have sat on his tailgate in the dark, waiting in vain for him to get back to the car. With David it is always; ‘just one more cast’. He is an exceptional river angler. A precise short to mid-distance caster with an ability to teach all of the skills that he himself possesses. David has fished with some of the best guides and anglers around the world . As such, he is a very accomplished fly fisher who has forgotten more about the sport than most will ever know. David was our lead NZ guide for 17 consecutive seasons and as such, his knowledge of the fishing in Southland is extensive. 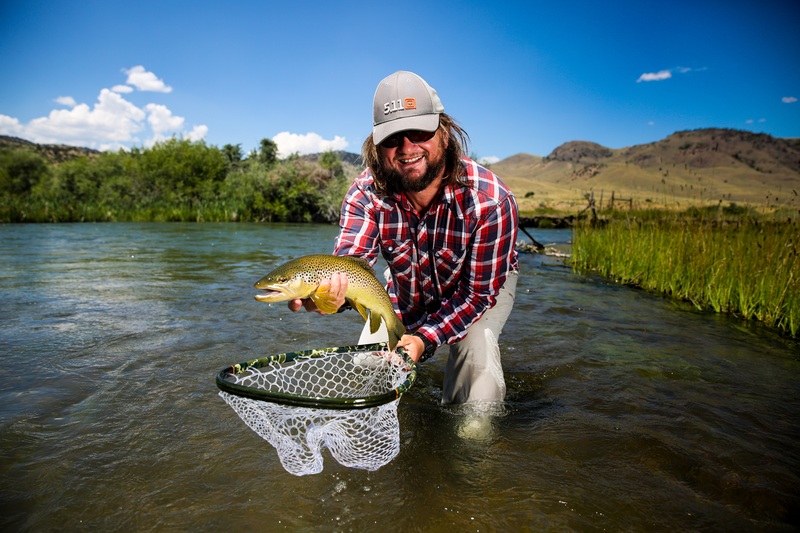 He has also fished for many years in Idaho – Montana – Wyoming, and has also led numerous trips to places such as British Columbia (Canada), Los Roques (Venezuela) and Patagonia (Argentina). He is also an experienced drift boat guide and has rowed/guided for many years on the Goulburn, Swampy Plain, Tumut and a multitude of rivers in the USA. David is the only septuagenarian we know who works harder today, than he did twenty years ago. His work ethic is such that he has acquired the moniker of ‘The Terminator’ among our staff and clients. In his mid-seventies now, he has shown little sign of slowing up. David will soon retire and will only work ‘whenever he gets the itch’. He lives with his partner Annella and spends his time bouncing between Thornton, NZ and Melbourne.